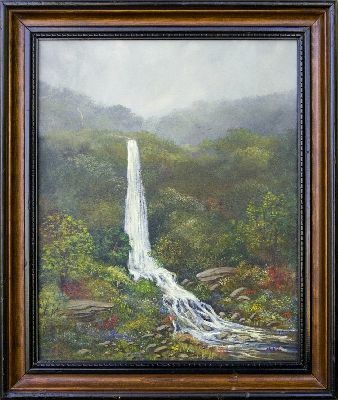 Description: This waterfall is only in my imagination. I love the sound of falling water and rushing streams. Colors are late summer, with a touch of fog.